Crookham Village Parish Council invites residents of Zebon Copse to contribute their thoughts and suggestions on the Hart Local Plan, which may be viewed online here. CVPC will be considering its response at a meeting in public at the Zebon Community Centre at 8pm on Thursday 1 June 2017. All parishioners are invited to attend. Please note the change of date from 18 May. This is the final major opportunity to influence the content of the Hart Local Plan. The consultation has a closing date of 5pm on 9 June 2017. Hart is currently consulting on housing strategy and their vision for the future as they develop their vital Local Plan. Without a Plan we risk yet more “Watery Lanes” where developers chose sites with scant regard for whether or not they are the most suitable for development. Every household should by now have received a leaflet from Hart describing the options Hart wish to refine. 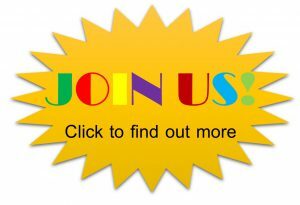 See the Crookham Village Parish Council web site for links to the various documents and the on-line response form. Closing date for the consultation is 15 January 2016 and it is VERY important that as many thoughtful responses as possible are received by the deadline. The Albany Park application by Martin Grant for 300 houses adjacent to Watery Lane was refused by the Hart Planning Committee, a decision subsequently endorsed by the full Hart Council on 25 September. Martin Grant have appealed Hart’s refusal. The hearing in public will be held in the Lismoyne Hotel, Fleet for approximately 8 days from 10am on Tuesday 14 April 2015. Related documents are available on Hart’s web site HERE. The more local people who show an interest and attend, the greater the weight which may be given to local inputs by the Inspector. Appeal held. Good local participation. Latest estimate for the appeal decision to be published is 26 June 2015. Crookham Village Parish Council is developing a Neighbourhood Plan. Part of the process is to collect parishioners’ view on the way ahead. Residents are invited to complete the on-line questionnaire HERE by 31 January 2015. Hart planning officers recommend approval of planning application 14/00504/MAJOR to build 300 houses between Watery Lane and St Nicholas School. Report is HERE. 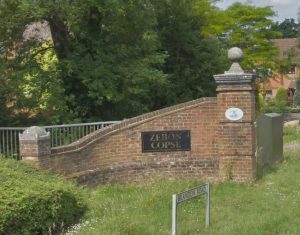 Report ignores parish council objections and traffic issues through Zebon Copse estate. Hart planning committee decision due at meeting that starts at 7pm on Wednesday 10 September 2014. Final decision expected to be taken by Hart full council at a later date. Hart District Council is preparing a new Local Plan. If you have any queries regarding this consultation, please contact planningpolicy@hart.gov.uk or 01252 774118. Please note that further consultations will follow in 2015 as the full plan develops. For further information on current and emerging planning policy, and evidence base studies please visit http://www.hart.gov.uk/planning-policy. Planning application 14/00504/MAJOR by Martin Grant to build up to 315 houses adjacent to Watery Lane has now been submitted. See further details on our planning page. It is very important that as many people as possible submit to Hart Council their personal views of the proposals before the deadline of 14 April 2014.